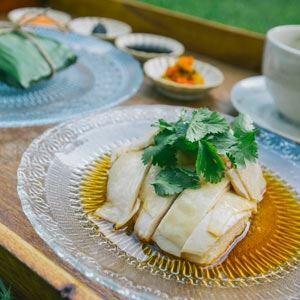 Cook tapioca according to the directions on the package. Drain and wash with cold water. Soak 1/3 cup of tapioca in 3 tablespoons of simple sugar syrup, then leave it to sit for an hour. Make half a cup of strong black tea with a teabag (or use your favourite tea) then leave to cool to room temperature. 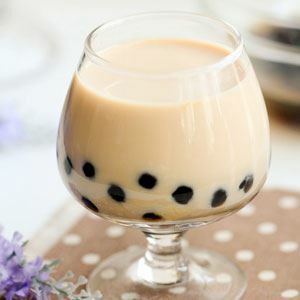 In a cup, add the tapioca and syrup mixture, 2/3 cup of ice cubes, cooled tea, one tablespoon of simple syrup and add in half a cup of cold milk. Refresh with your bubble tea.